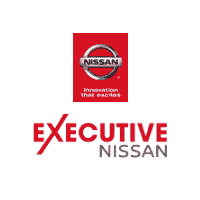 Getting vehicle maintenance and repairs can be overwhelming, but the service team at Executive Nissan is here to make the process as easy as possible. We always offer rotating brake service coupons, tire coupons, and even a variety of parts coupons for Hamden area drivers. Once you’ve browsed our service coupons, visit our qualified technicians at our advanced auto service center and save on auto service today! Buy 4 tires and get free tire rotations for the life of the tires. ECS35N CONVENTIONAL OIL $125.00 5 LOF’S/ 3YRS. ECSR35N CONVENTIONAL OIL W/ROTATE $165.00 5 LOFS/5 ROTATES/ 3YRS. ECG35N SEMI SYNTHETIC $150.00 5 LOF’S 3YRS. ECGR35N SEMI SYNTHETIC/W ROTATE $190.00 5 LOF’S AND 5 ROTATES / 3YRS. ECPS35N PLATINUM SYNTHETIC $215.00 5 LOF’S/3YRS. ECPSR35N PLATINUM SYNTHETIC W ROTATE $250.00 5 LOF’S AND 5 ROTATES/ 3YRS. ECUS35N ULTRA SYNTHETIC $270.00 5 LOF’S /3YRS. ECUSR35N ULTRA SYNTHETIC/WITH ROTATE $310.00 5 LOF’S AND 5 ROTATES/ 3YRS. Plus tax and disposal fees where applicable. Must present ad at time of purchase/service to redeem. Offers may not be combined w/ any other offers/discounts & are subject to change/termination w/out notice. No substitutions. Images are for illustrative purposes only. Not responsible for typos. See dealer for details. You count on your Nissan every day to get you to the places you need to go around New Haven, so it’s important to make sure it’s well maintained and ready when you need it. Whether you’re in need of a Nissan oil change, tire alignment, brake repairs, or transmission repairs, you can rest assured your vehicle is in good hands here at Executive Nissan. Ready to schedule your service appointment? After you’ve browsed our Nissan service specials , please contact us to get your vehicle running like new on the Northford roads.